The messages coming from MPI, and also mirrored by Prime Minister Jacinda Ardern’s recent comments, are that good progress is being made with Mycoplasma bovis eradication and that MPI is getting on top of its problems. The reality from where I stand is somewhat different. In the last four weeks, MPI has averaged 14 payments per week, with an average total weekly payment of around $1.1 million. At that rate, it will take about four months to clear the existing backlog to get even partial payments. Currently, new claims are coming in at about the same rate of 14 per week. So MPI is making minimal progress in getting on top of the claims mountain. The reason this story is different from the MPI story is that their story focuses on the time from assessment to payout. The real bottleneck is between lodgement and assessment. It is the easy claims, which are typically the small claims, that are getting through the system. Most dairy beef claims are relatively easy, but milking cow farms are complex.There are very few who have been paid for dairy farm loss of income. I could take Jacinda Ardern to a family farm where the owners have been battling with MPI for ten months since they first received their notice of direction (NOD) and then many months later were confirmed positive. They are still waiting for their first compensation. These farmers are media shy but would spill their heart out in a private setting. I get lots of calls from farmers who are not only stressed, but also incensed by the illogicality and inconsistency of how the rules are being applied. They tell me that the processes are hugely inefficient. My advice back to farmers is to not compound their own stress by worrying about Government waste, just focus on their own wellbeing. Much of the farmer stress arises from difficulty in getting reliable information from MPI. There is a big hierarchy in MPI, and I always say to farmers to get everything in writing. An oral understanding at the coalface can turn to dust from higher up. There are now 80 people trained in rural support. That sounds a lot, and yes, it is a lot. The problem is that although they can lend a sympathetic ear, they have no power to change the situations causing the stress. Part of the problem is that MPI is resistant to providing farmers with the reasons why they become NOD or IP (infected) farms. Some farmers manage to get basic information, but others remain puzzled. This last week a farmer I know had a robust discussion with MPI as to why another of their farms is now considered at risk. In the end, MPI did promise to get certain information, but still have not done so. In the meantime, MPI notified the police that the farmer was mentally at risk, and next thing police and mental health were on the phone. The farmer interpreted this, understandably but probably incorrectly, as being intimidatory. In fact, the mental health expert following a visit confirmed to the family that they were all acting sanely, and that any sane person would be very stressed by the way they were being treated. Currently, the number of farms under restriction in the NOD ‘never land’ of not knowing whether they will end up being confirmed positive is 220. For a while, this number was declining but in recent weeks there has been an uptick. These numbers are in addition to the 74 farms that are either confirmed infected (IP) or trending that way (RP). There are another 800 surveillance farms. Perusal of the MPI response document which was finally released several weeks back gives some insight into MPI behaviours. An explicit objective is to maintain social licence for the eradication campaign. It is in that context that MPI hates and therefore denigrates people like me who might cast doubt as to whether or not they will be successful. In contrast, the propaganda emanating from MPI is all good positive stuff about progress. In fact, there are senior technical people in MPI who do have serious doubts about the eradication campaign. But they have to keep those thoughts away from the public. The reason that there is concern about the feasibility of eradication is the number of infected properties where the supposed traces are very tenuous. There are also now at least six cases I know of where the logical infection path only makes sense if the disease were here by 2014 or earlier. Right now, there is a recently confirmed infected property which is also seeing clinical cases in milking cows. There is also a closely related herd which has been confirmed positive, but surprisingly is not yet showing up in the MPI stats. There are also another two linked herds which are at very high risk. This new hub is the first such case of clinical disease showing up in adult animals since late 2017. It is a real puzzle as to how this infection has occurred. Calves are also infected and showing symptoms. There is now a whole fan of new traces and NODs that will have to go out from these farms. There is one possibility for this new infection having come from a property which was a NOD but for which the NOD was removed because the risk seemed minimal. There is another unrelated farm which also has gone positive after removal of a NOD. These situations allow MPI to claim that they have prior traces, but without admitting that they might have got it wrong in removing the NODs. With the new outbreak, there is a second possibility that MPI was following up but has now discounted as it would mean acceptance that the organism was here by 2014 or before. Intriguingly, it is this link that caused MPI to first take an interest in the property. The early spring weather in much of the South Island has been exceptional, the best for many years. It has meant that infected cows are less likely than otherwise to shed the organism in their milk. Cows typically only shed the organism if they are under stress, and early lactation is the most likely time for this to occur. The good spring has increased the probability that the current milk testing is missing multiple cases. Whether or not eradication is going to be successful, and whether or not the stress on the affected farmers is worthwhile, currently remain as open questions. Unfortunately, command and control operations (and that is MPI’s term) do not lead themselves to open debate. These operations take many prisoners and this can include politicians at the top of the chain who themselves receive the massaged messages. I tentatively place our Prime Minister in this category. This compensation saga is analogous to the insurance/red-zone payouts saga after the Christchurch earthquakes. There, the EQC response was to draft in a slew of ex-Service types, who armed with a rule-book and a disinclination to use discretion, proceeded to make a lot of arbitrary decisions, focus on the easy cases, and defer everything else up the chain. The insurance companies were better prepared, but they too settled the easiest claims first and there are still hundreds of complex, tangled situations awaiting resolution. A common theme in both situations was to insist on an all-or-nothing settlement. There was no notion that a drip feed of partial claim settlements would both soften the eventual cash-flow blow, and mollify the recipients to the extent possible. What was missing, as you are describing for the MPI cases, is the sense that life has to go on in the meantime, and that a partial payment does not need to be taken as acceptance in full of the original claim. It's the balance and the details that can then be haggled over. 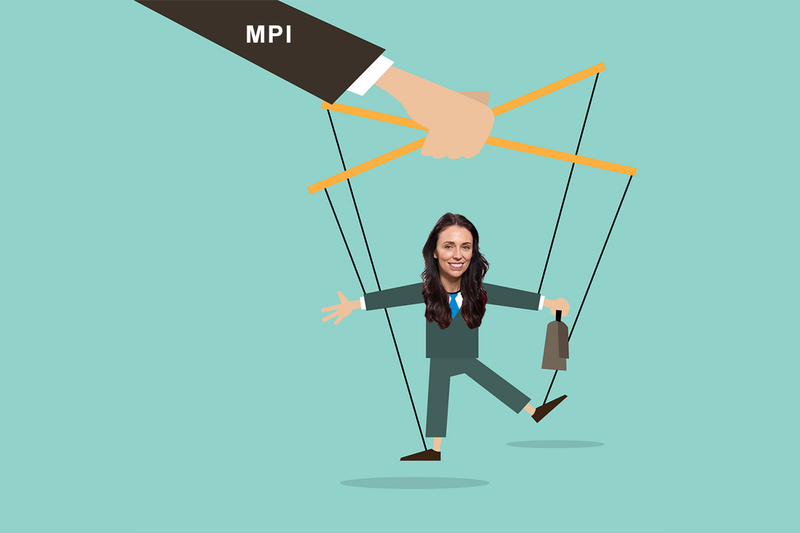 MPI has been taking on lots of staff, including legal people. I believe that the financial assessments are outsourced, but they still requite multiple internal sign-offs. Animal values are the simplest, but even then there are always differences between buyer and seller valuations to be negotiated. An example of a tricky issue with animal valuations (this is one specific example) is where the cost of replacements for similar type animals has gone up but the sharemilker has lost his job (because of the outbreak) and MPI will only pay the replacement value if the sharemilker actually purchases the replacement animals now. But he currently has nowhere to farm them! And then things get a lot more complex again when it comes to loss of income. In those situations MPI is well resourced to pay for outsourced professionals and if farmers want to match MPI with firepower then they need to do the same thing. But farmers costs of employing these professionals are not reimbursed. My understanding is that the farmer costs for some of the big claims can exceed $100,000. It is possible to get partial payments with the right to continue the claim for other aspects but it is easy for farmers to get outgunned if they don''t have their own professionals supporting them to fight for these things. Thanks for the hard work youve put into this issue Keith. Your information is logical and to the point, unlike the waffle that we receive from the ones that are responsible. Never have I seen a time as bad as this in the industry where there are so few people that are meant to be working for us that we cant trust! By that I mean the Goverment, MPI and Fonterra. Yip thanks Keith. I have been a little 'over' mbovis for a while but have tried to keep updated through the MPI website. Of course everything as you say is massaged, and gives no sense at all to how it is progressing. Especially now they have done away with the properties of interest total. If I remember correctly the last time they published it was in August. 5000 properties. Like Keith I learnt they are not tracking down all suspect cattle. Some properties with trace cattle are left untested, unrestricted. Blood testing today. The crew arrived a day early on the wrong property. Hmm. The chief blood tester made the comment they had now realised how New Zealands dairy industry was totally embedded in the beef industry. No reflection on the Chief Bloodtester) But MPI really? I gather they thought this could be contained. As dairy farming by its nature is sort of contained. You milk cows. They dont go anywhere. They just get milked twice a day. Which is about the stupidest thing you could think about the New Zealand dairy industry. Its a comment that has come back also from my assurequality lady. 'They' have discovered just how much we move our cattle around the countryside. Chief Bloodtester today. If we had Foot and Mouth in Southland today, two days later it would be in Kaitaia. I dont think when they made this eradication plan 'they' had any idea what they were up against. I am aware of a farmer being told they were going to be inspected regarding bovis. The kind person phoning to tell them suggested that they send out a brouchure on what will be required to be seen at time of the inspection 'because the person coming to see you doesn't speak very good English and is hard to understand'! Oh dear... I think I have been lucky. Everyone I have dealt with has been really nice. Ready to explain things several times over. More than helpful. In fact the only one that has been rude and mean a couple of times has been me. As yet I have not needed money out of them. Hopefully there wont be a need. Keiths stories are concerning. If they cant pay up promptly businesses will falter. I really dont get them not paying sharemilkers for their stock. Thats appalling. May I add my thanks to you, Keith, for keeping your head above the parapet and for digging under the happy clappy PR. if nothing else, once the saga has ground on to its conclusion, whatever that might be, it will make a fabulous (in all senses of the word) case study for ag biz students. .. and students of life. Privatise the profits, publicise the costs. These are folk who take one-off resources (oil, virgin rain-forest via palm kernel, local bio-diversity/amenity) and make profit from them. The excuse is 'feeding a growing population' - but that leads to collapse anyway, not a valid biological goal. What we have is irrigated monoculture to the horizon, artificially supported by finite resource-consumption. Should that be compensated at all?